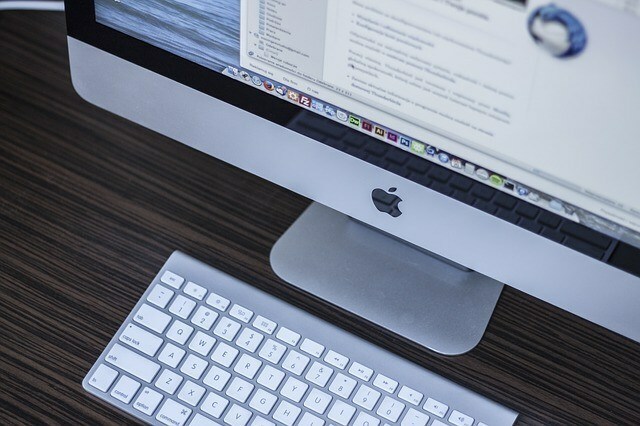 As today’s students communicate primarily through texting and email messages, teachers are starting to notice a relative drop in the use of proper punctuation, capitalization and spelling. This is no surprise as texting and emailing relies primarily on informal language and tends to use abbreviations. But this is not the extent of the problem. Teachers are worried because they realize that effective writing, whether in the natural and social sciences or in definition subjects, involve a whole set of skills that are integral to the student’s success in later life. For teachers, writing effectively is more than just abiding by writing conventions. Instead, it involves the application and synthesis of new knowledge based on what the student has learned and understood. It involves creative inspiration, problem solving, reflection and revision until the term paper is finally completed. Moreover, writing involves the capacity to critically assess other people’s writing, which can be useful at work. Unfortunately, students do not see writing this way. For many, writing is a laborious task that can’t be used in practical life. It becomes a mechanical task. Hence, many tend to look at it simply as a way of placing their thoughts on paper while adhering to grammar, spelling and citation rules. Writing teachers have to contend with a single question: how can they teach their student to write and communicate effectively given the short amount of time they communicate with their students? Because writing is a preparation for students to communicate in the real world; it is integral to professions that have more than minimal levels of responsibility. For researchers Joseph Defazio et al., the solution is simple: utilize the internet to expand class time, and utilize methodologies that keeps students engaged, clarify the goals of writing and provide students the opportunity to learn from their mistakes. The EssayTopicGenerator.com enables teachers to utilize new approaches in educating their students. Teachers can provide students with topic keyword, the subject area for their writing project, and the kind of writing they need to accomplish. 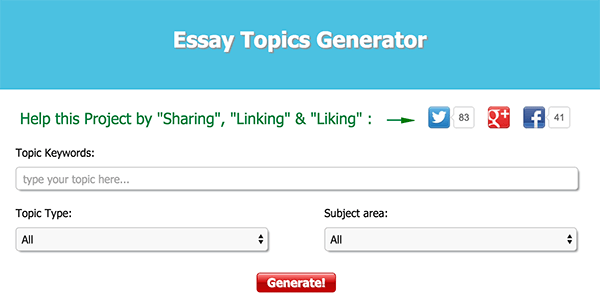 Students type in these information on the Essay Topic Generator tool, and viola! They receive more than 20 topic titles, which can then be utilized to focus their research. This way, students don’t get overloaded in reading so many resources, and they can learn immediately about topics that interest them the most. The value of Essay Topic Generator tool goes beyond the suggestion of essay topics. Instead, it enables students to discover the practical value of writing. Through its suggested topics, students can see the difference between different writing projects – critical essays, argumentative essays, as well as persuasive essays, as well as allow students to explore a topic, and make a case for their beliefs. This enables them to emotionally invest in their writing requirements, which then prompts them to learn more about their topic. The Essay Topic Generator enables students to organize their research – because they know exactly what kind of writing projects they need to do, and they know what point of view they want to take for the essay, they can choose references that will support their claim. It means they cut down on research time without compromising the quality of their work.